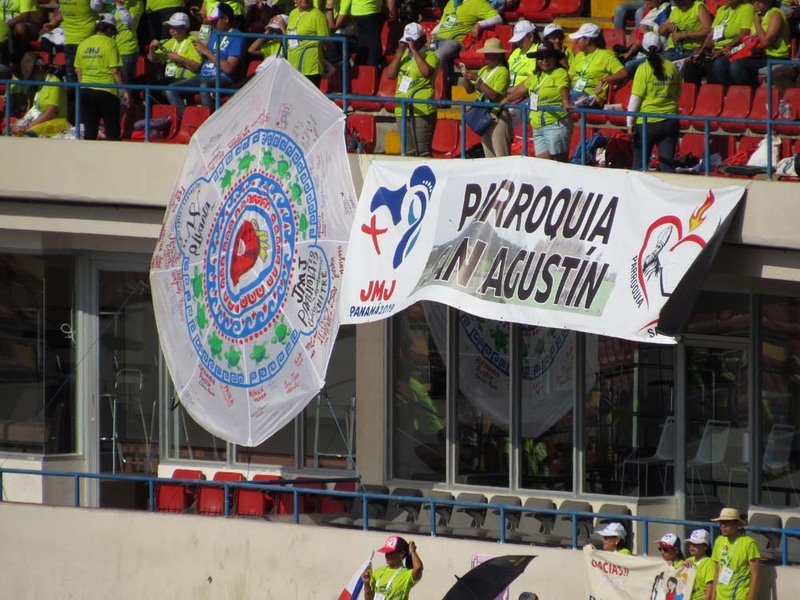 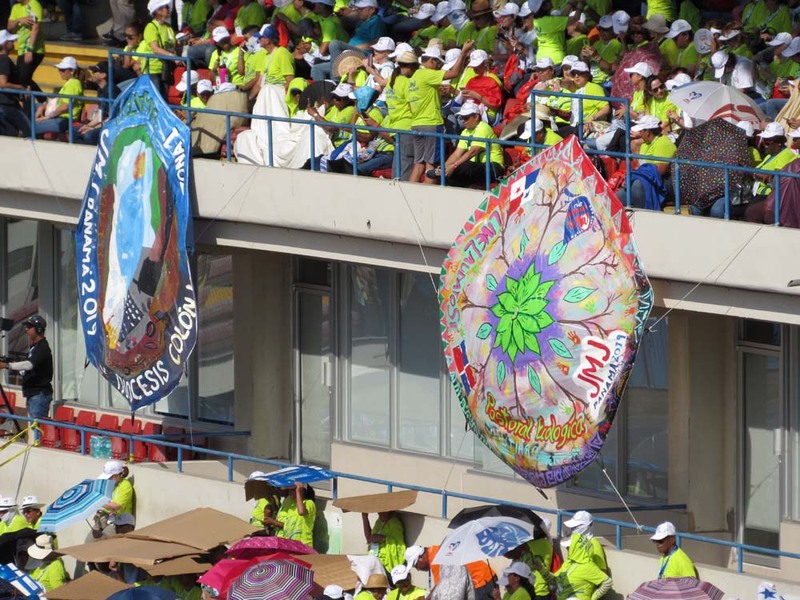 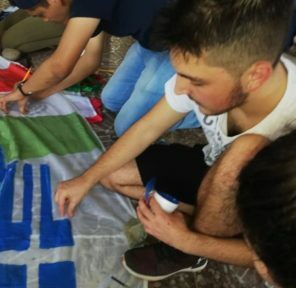 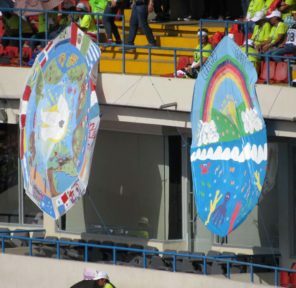 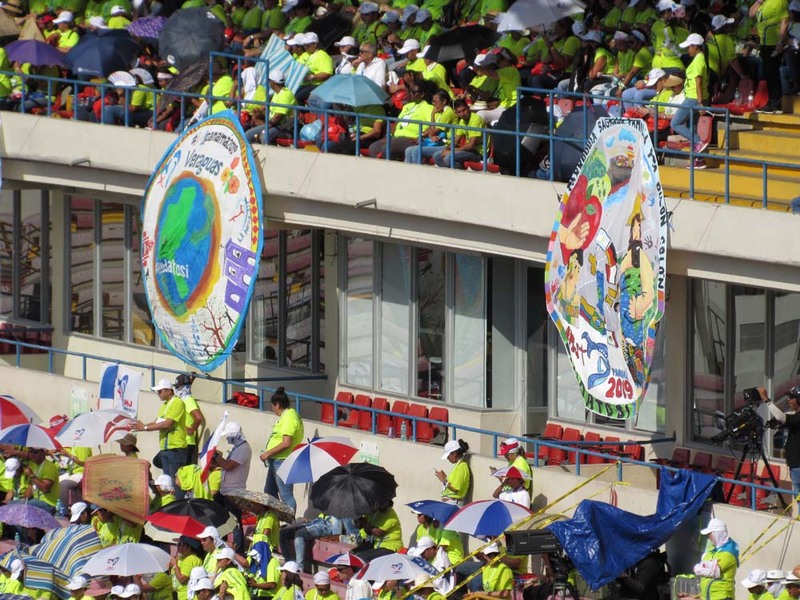 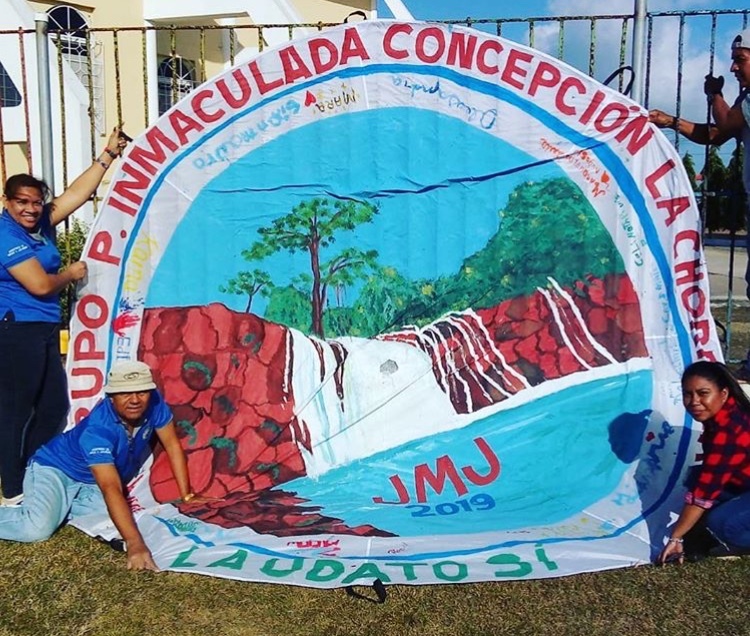 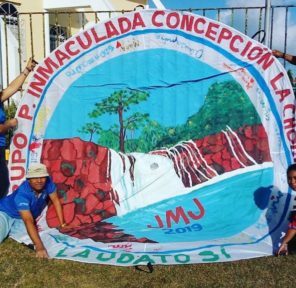 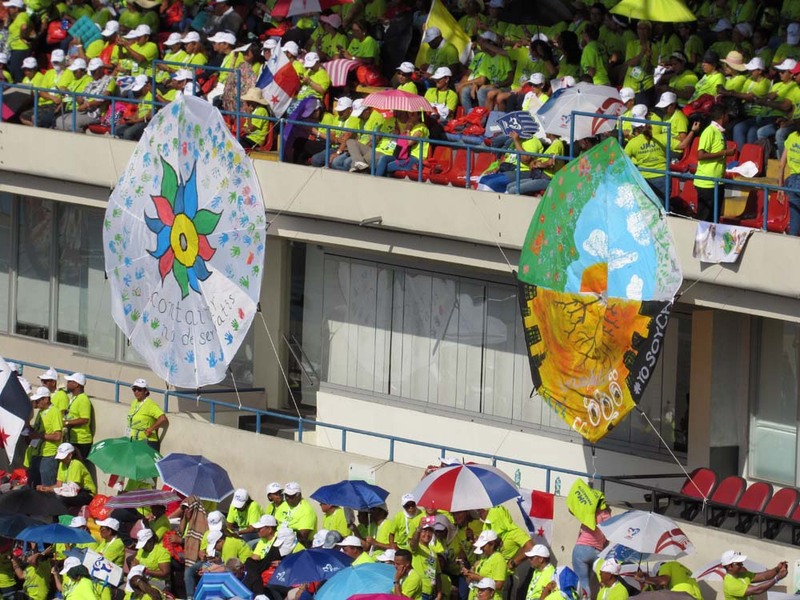 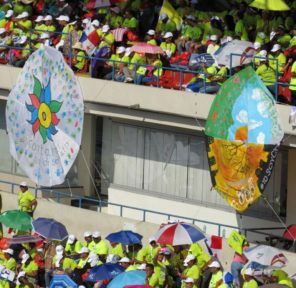 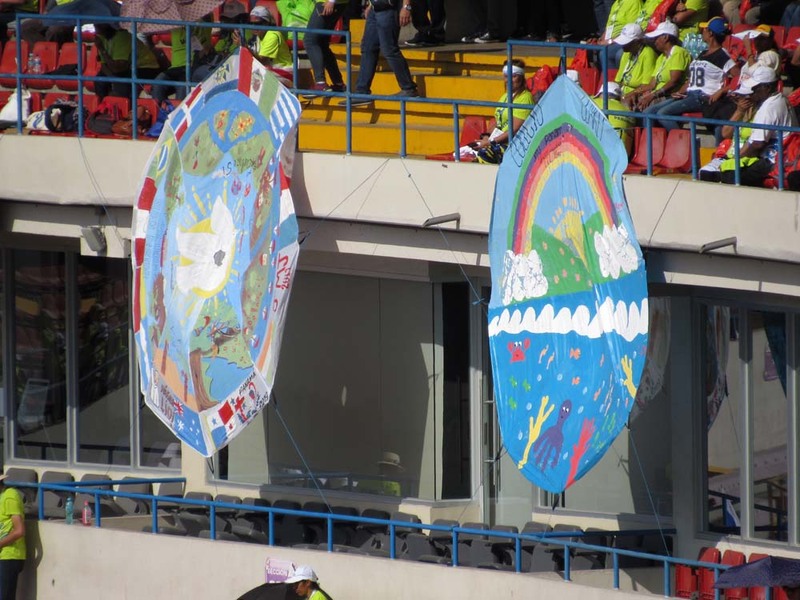 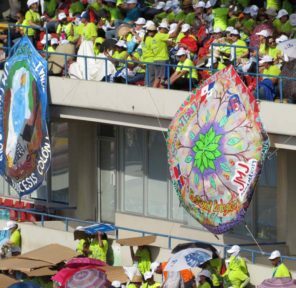 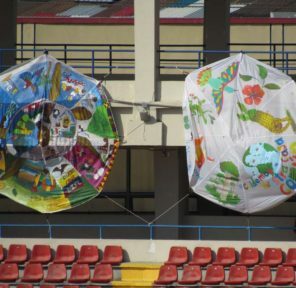 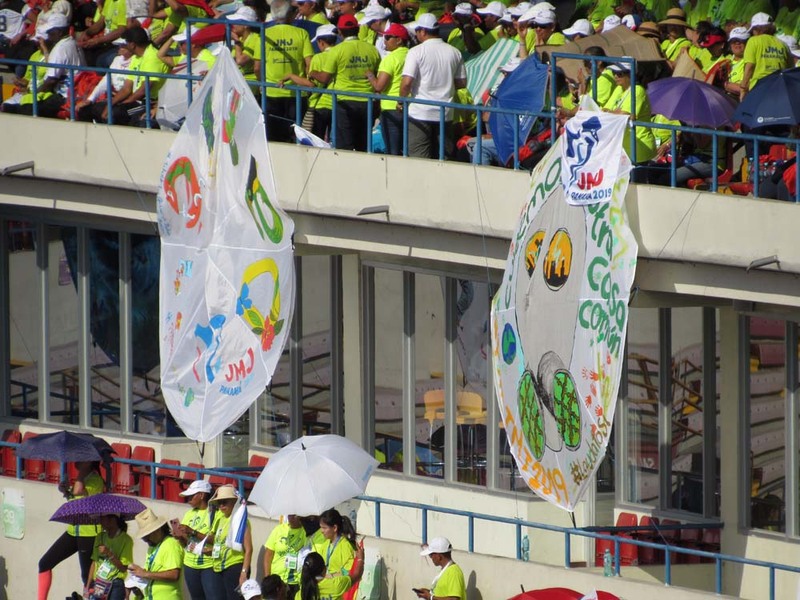 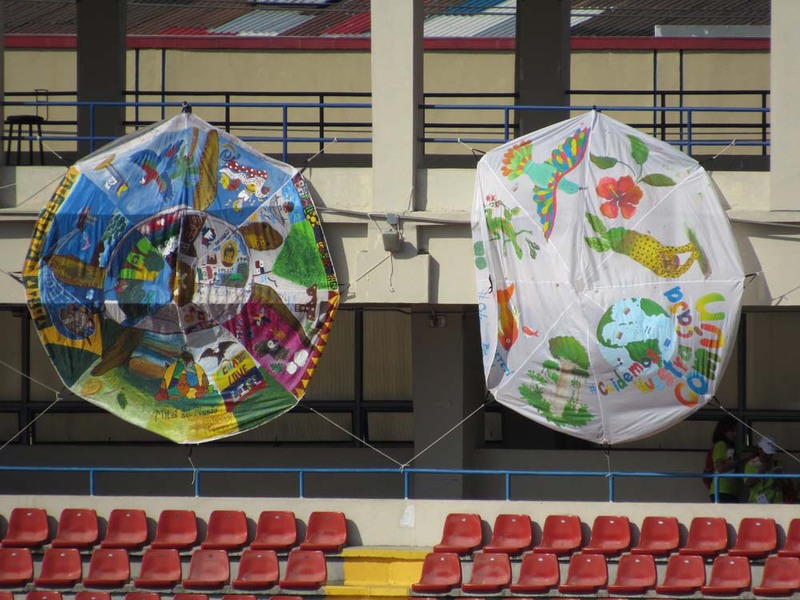 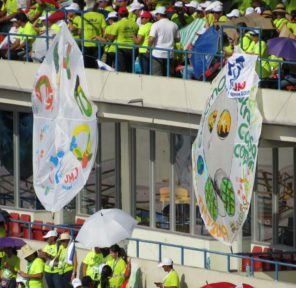 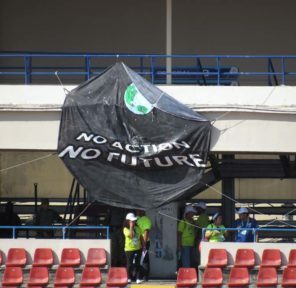 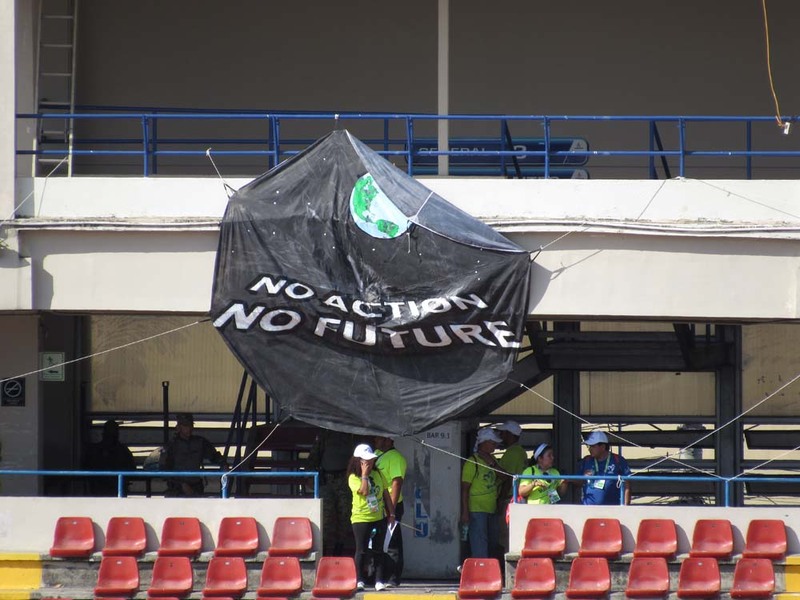 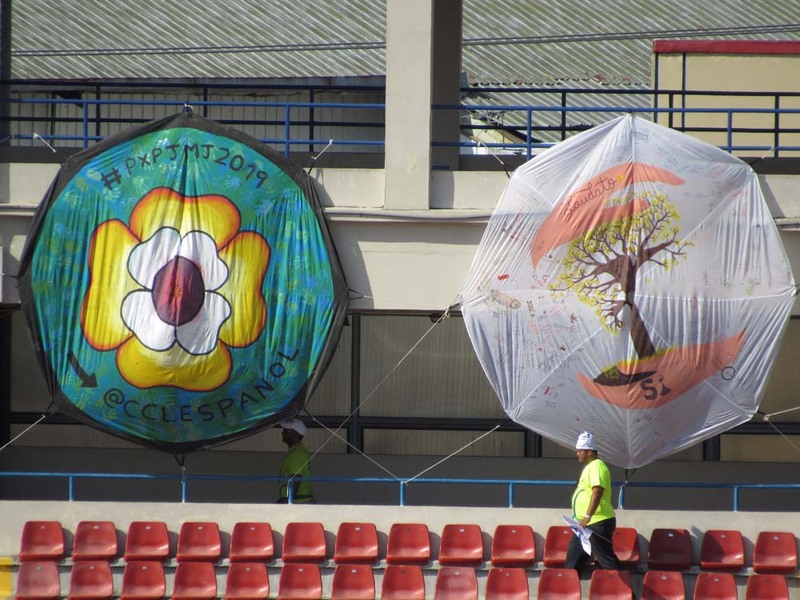 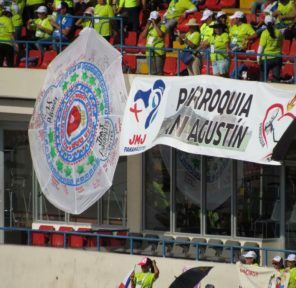 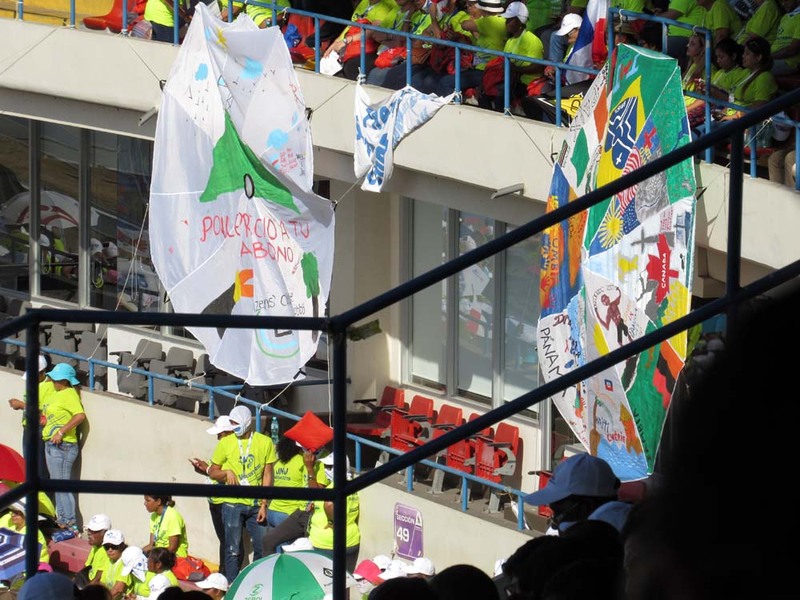 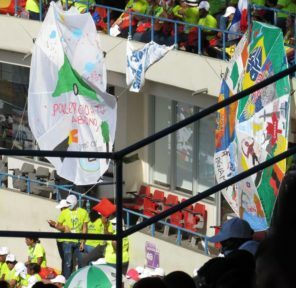 41 parachutes were created by communities around Panama and were on display and marched with during World Youth Day on January 22 –27th, 2019. 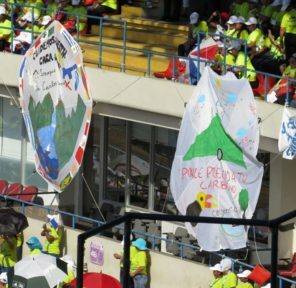 The Pope is a great advocate of the environment and the parachutes add power to his message for the world to see. 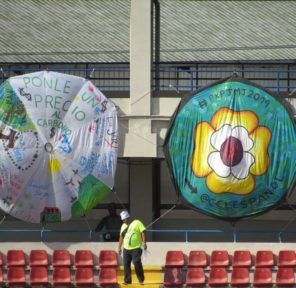 The religious-based groups placed the parachutes around the stadium, surrounding the Pope with a "halo" of parachutes, to tell the Pope they are focused on the environment. 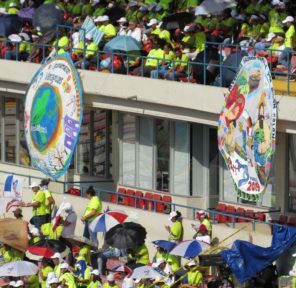 15,000 people were in attendance. 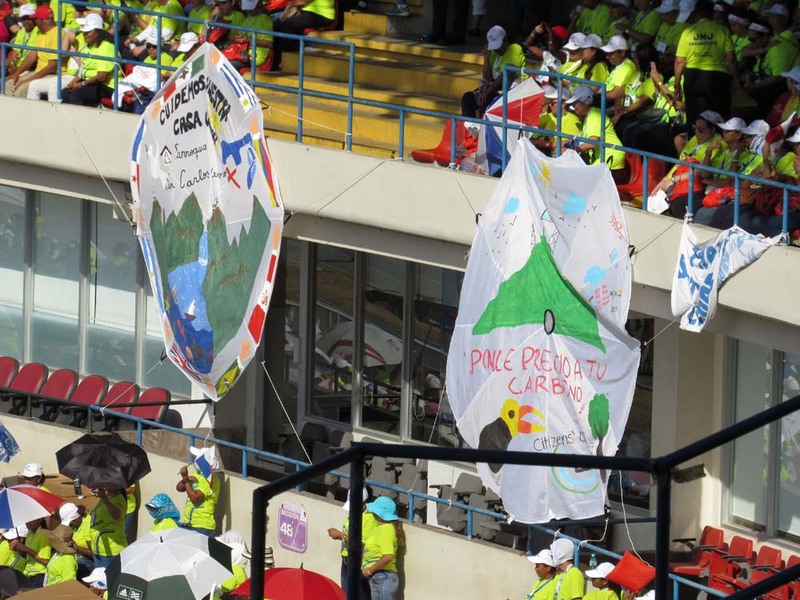 Volunteer Andrea Saavedra speaks about her Vote For Climate Parachutes, with over 100 handprints from kids committing to living more sustainably and becoming environmentally focused. 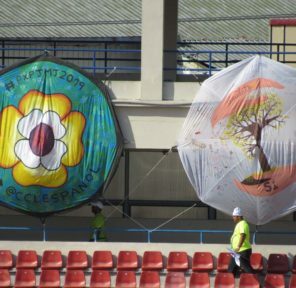 One of her parachutes is now headed to the Vatican to be displayed. 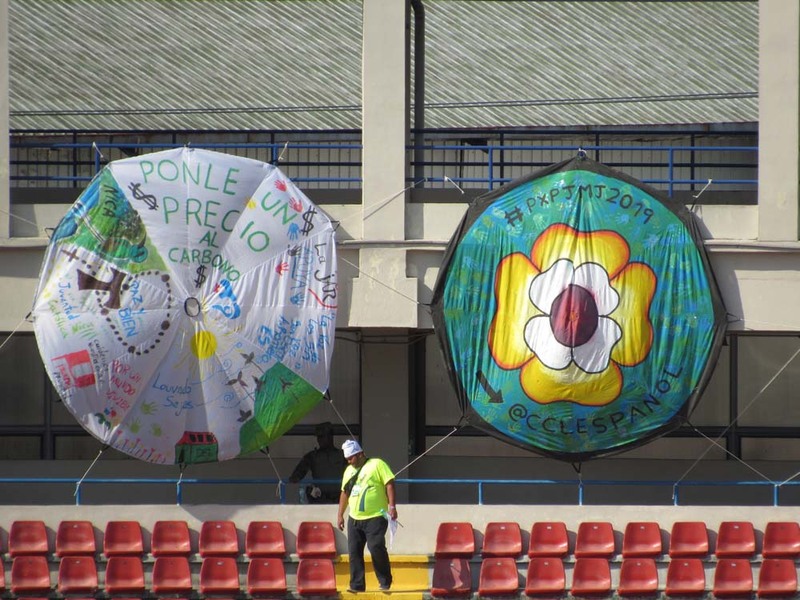 This one of six parachute locations in Panama City where pilgrims came to decorate parachutes and learn about living sustainably. 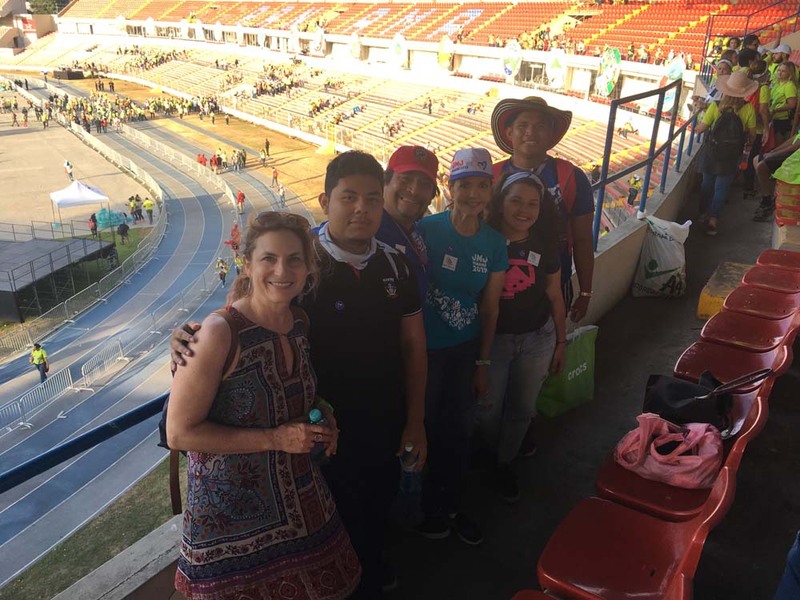 In attendance is Tami Kellog (blue shirt) organizer of the Parachutes Event and Citizens' Climate Lobby local representative, Shereen Rubenstein (black shirt) cofounder of Mother Earth Project, Matt Saavedra (red shirt) CCL logistics director, as well as other volunteers and artists.